Courmayeur is a lovely old town by the foot of the Mont Blanc, situated on the sunny side of the Mont Blanc – just in the border of Italy with France and Switzerland, and next to the Mont Blanc Tunnel entrance. Courmayeur is boxed between mountains and the scenery is astonishing wherever you look – There are more than forty 4,000 meters + peaks. Plus it has the warm of Italian welcome; it has an effortlessly understated elegance, sparking Italian lifestyle at its best. Via Roma in Courmayeur – Photo Eleonora Greco – Courtesy Centro Servizi Courmayeur. Courmayeur Mont Blanc. Courmayeur is very chic and the place to be for Italian, mostly rich Milanese and Torino citizens coming on the weekend – some rich and famous like Dolce & Gabbana own a house in Courma. Other Services– heliskiing, guides, lifts, ski schools. The place is amazing, small enough to go walking around, with lovely restaurants, bars, a couple of discos and great selection of shops. For those shopping addicts, Via Roma is the place to be, with a great selection of the sorts of Gucci, Prada, Armani to Dolce & Gabbana, and the famous jewller’s Aurum. For ski slopes fashion on and off the piste, you have Moncler, Colmar, Patagonia, Napapijiri, Helly Hansen, The North Face, amongst others. This coming season, in January 20-22 and 03-04 March there will be the Courmayeur Black Saturday powered by American Express – where all the shops will open with sales and the latest collections. The Amex card holders will receive special points and exclusive benefits. You have lots of good restaurants, but even any small eatery is good, this is Italian food that is good and very well priced! Italians do really live the ‘dolce vita’ and you see them taking their time for their coffees, their aperitivos and long and inviting meals. The buzz of downtown Courma – Photo by Gughi Fassino – Courtesy Centro Servizi Courmayeur. Courmayeur Mont Blanc. La Viex Pommier (by the main roundabout), with an apple tree inside the restaurant. For cocktails: La Luge – you can also eat hamburgers there. 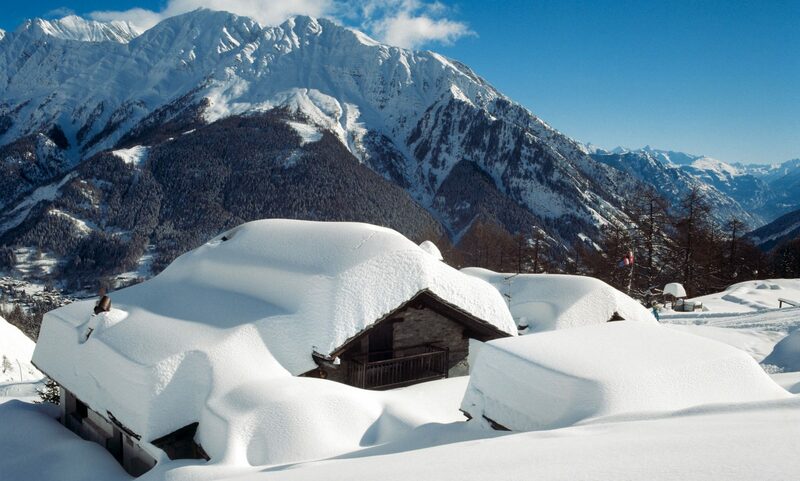 The-Ski-Guru TRAVEL can organise your trip to Courmayeur and all other ski destinations. Drop us a line at info@the-ski-guru.com or contact us via the form posted here. You can read our family trip to Courmayeur here. Or read about the Taste of Courmayeur or Mountain Gourmet Experience 2018.